The Monday night game two football weeks ago where the Jets got humiliated by the Colts, I had bet on the Jets. I thought the Jets were trying to take a step up over the prior weeks, recall they had the Patriots beat a few weeks ago and blew it, but they got embarrassed at home on Monday Night Football. A football week later, I picked the Jets again in this game but not with as much zeal. Less than five minutes into the game the Jets were down 14–0 and I was cursing the football gods. There was no way the Jets with Bryce Petty would score 14 points…nor would this Jets team bother to hold the 49ers to no more scores the rest of the game. Bryce Petty did lead a comeback, I mean he was involved in some way, and the Jets held the 49ers to a lone FG the next 55 minutes of regulation…and for another 6+ minutes in overtime, as NYJ inexplicably came back to win this game. Maybe more inexplicable was the 49ers’ collapse. Actually, nothing should be surprising about these two teams if it’s ‘bad’. Very explicable when things are bad. This week the biggest news the Jets made was a rumor that they love UNC quarterback prospect Mitch Trubisky. I have not started evaluating 2017 prospects for College Football Metrics.com yet, but I’m pretty sure Mitch will be one of the first prospect studies out of the chute in a couple of weeks. I saw a 10-second montage on him and heard people talking about how he is ‘the most pro-ready QB in the draft’. Hmmm. The 10-second look/visual I saw of him and the analyst’s conviction remind me of when all the early draft analysts, who are 99.7% wrong all the time with their early QB draft analysis, pushed Paxton Lynch as the #1 pick overall about this time last year. I have never seen Mitch play, but I’m already against him, because if mainstream football people are pushing him in December, I can assume it’s the wrong scouting without even looking. I could just bet against all December QB draft analysis from ‘experts’ and be great at scouting. — OK, maybe Robby Anderson (6-99-0/11 targets, 2-12-0 rushing) will work this week. I mean, we’re dying on Terrelle Pryorand Tyrell Williams to the finish line. Big name WRs like Allen Robinson and DeAndre Hopkins already killed people. Julio and A.J. likely won’t play. Can Robby save us? Two conflicting thoughts: (1) Bryce Petty is awful and is the problem in the equation. We’re relying on him as much as Robby. (2) However, Petty only has eyes for Anderson. There were more than a few times in this game where Petty watched Anderson from the snap and just gazed at his route waiting to make his throw. He didn’t do that ‘tell’ as much with the other receivers. The added bonus is that Petty just flings prayer passes in Anderson’s general direction, especially deep balls…and it just so happens Anderson is one of the best high-point catchers from the 2016 NFL Draft. In three games with Petty this season, Anderson is averaging 4.3 rec. (9.7 targets) for 76.3 yards and 0.33 TDs per game. I pretty well know I’m NOT getting this from Pryor or other some other formerly reliable FF guys this week. Sadly. The last two games with Petty, back-to-back weeks: 5.5 rec. (11.5 targets) for 80.0 yards and 0.50 TDs per game. — I love the hustle/effort of Bilal Powell (29-145-2, 5-34-0/5 targets) when he gets his opportunities. I’m kinda all-in on Powell if he gets to start with no Matt Forte or Khiry Robinson this week. You’re going to get 15–20+ carries with 5+ targets almost guaranteed with Powell in that instance. The best, safest pass Petty throws is a dump pass to Powell. …and I think there will be no Forte or Robinson Saturday night. — Brandon Wilds (2-4-0), an RB prospect who I really like, would be the backup to Powell. He’s not ready to usurp Powell Week 15. Wilds would see 3–5 touches maybe. I hope Wilds gets more opportunity ahead, but not this week…I kinda went heavy on Powell early off waivers (where available) banking that Forte will be out. — Before I forget – Carlos Hyde (17-193-0, 1-7-1/1 target) is really good too! He was dominant in this game at times. #7 in rushing yards per game so far this season. 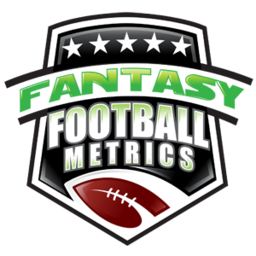 One of our top undervalued players for fantasy of 2016 heading into FF drafts. He paid off. — Finally, Jaquiski Tartt (12 tackles, 1.0 sack, 1.5 TFL) had a big output game for IDP. I probably fired him up questioning his career last week. We’ve got him as a top 20 DB for IDP this week. — 49ers rookie DL Ronald Blair (4 tackles, 0.5 sacks) is getting extra time for the 49ers the past few weeks. His pre-draft measurables were terrible – a 5.15 40-time at the NFL Combine. But it looks like he’s cut weight and gained some speed back. Before the draft, I thought he was one of the best-looking pass-rush prospects in this draft. A knack for getting to the backfield. I ditched him as a serious NFLer because of his NFL Combine results, but he’s starting to make a little noise. One we’re watching.